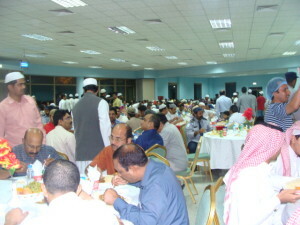 Najran Cement Company held the annual yearly Iftar ceremony for the year 1434 in the presence of his CEO-designate Professor Mahmoud Sabih, and the company is keen through this ceremony on the company’s employees participate in the ceremonial aspects of the different religious and social events. The company takes into account the fact that healthy working environment and sound must rumored where the spirit of intimacy and brotherhood among colleagues. 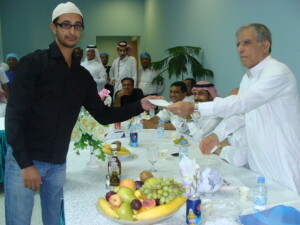 The celebration started with the exchange of greeting between staff before the Maghrib prayer, and then eat breakfast and dinner in the restaurant company in the residential complex in Sultana factory. The ceremony included several entertainment events, competitions and awards.